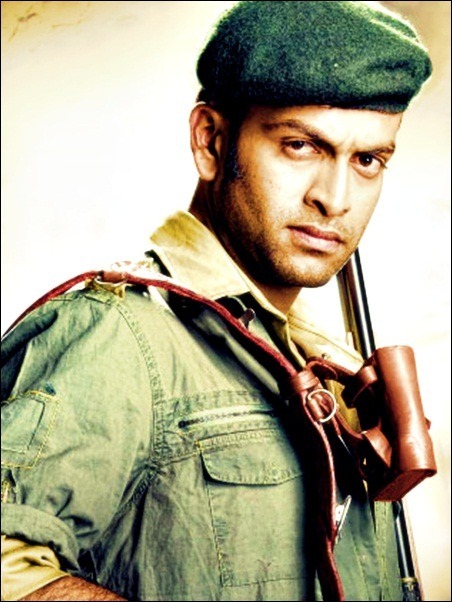 Prithviraj Sukumaran is actor in kerala (Malayalam) some more names, Prithviraj Sukumaran is Indian name, the name Sukumaran is a patronymic, not a family name, and the person should be referred to by the given name, Prithviraj. Family- father actor Sukumaran and mother Mallika Sukumaran, His elder brother Indrajith Sukumaran and sister-in-law Poornima Indrajith are also film actors. On 25 April 2011, Prithviraj married Supriya Menon, a BBC India Reporter, in a private ceremony at Palakkad. Supriya Menon is a Mumbai-based well known media personality who is currently working as a reporter with BBC World, Mumbai. She is basically from Palakkad in Kerala but was raised in Mumbai. The sharp reporter was born to Padmini Vijaykumar and Vijaykumar Menon in 1985. Supriya does not have any siblings and is the only daughter to her parents. She did her schooling in Mumbai and later she finished her post graduation in journalism from a reputed university in London. Supriya is a very intellectual lady and Prithviraj was attracted towards this quality that she possesses. The couple dated for a year before marriage although Prithviraj always denied questions from the media of having affairs with a girl. They met each other after Prithviraj's film Raavan was released following which he was interviewed by Supriya and the two gradually fell deeply in love. Early days:- Prithviraj was born in Thiruvananthapuram, Kerala, Prithviraj Sukumaran initial schooling was at St. Mary's Central School Poojappura, which was near his home at Chengallur,where he acted in various plays and skits for the school's annual day celebrations. He completed the rest of his school education at the Sainik School Kazhakoottam, Thiruvananthapuram and Bharathiya Vidya Bhavan, Thiruvananthapuram. Prithviraj, along with his brother Indrajith, participated in debates and elocution competitions while in school. At the annual inter-school arts festival hosted by Loyola School, Thiruvananthapuram, Prithviraj won the title of "Mr LA Fest" twice, and is the only person to date to win that title twice. While pursuing his Bachelors in Information Technology at the University of Tasmania, Australia, he was called by film director Ranjith to play the lead role in his film Nandanam. It was Fazil, a well known Malayalam film director, who introduced him to Ranjith.After his performance in Nandanam, he decided to take a break from studies to concentrate on his film career. Life with Malayalam Cinema- Malayalam Cinema is working place for Prithviraj, he earned his status and bread for life. In 2002, Prithviraj was cast by Ranjith in his second directorial venture, Nandanam.After this he appeared in films directed by Lohithadas, Vinayan, Kamal and Bhadran. He later went on to do Stop Violence and Swapnakoodu. Shyamaprasad, who cast him in lead role in his film Akale, said that Prithviraj's advantages are his talent and intelligence irrespective of his box office successes. he played the role of Sub Inspector Solomon Joseph in the critically acclaimed Vargam. 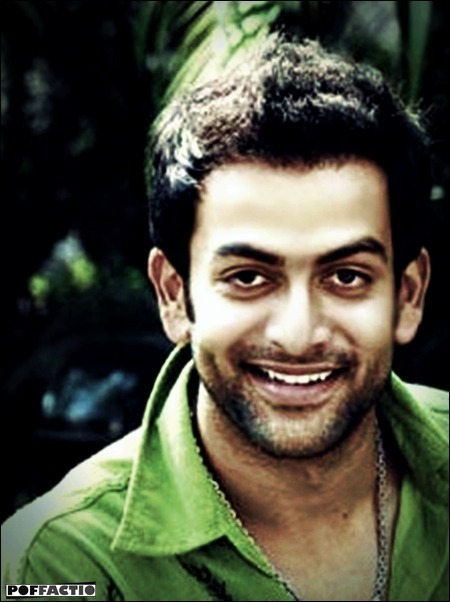 After Vargam, Prithviraj acted in Vaasthavam with the same director, M. Padmakumar, for which he received the Kerala State Award for Best Actor for 2006, and became the youngest actor to win the award.The same year he starred in Lal Jose's Classmates, which went on to become an all-time blockbuster, increasing his market value and giving Malayalam producers confidence to make more youth-oriented movies. Thalappavu and Thirakkatha shared the award for the best film in the Film Critics Award for 2008. He also made a special appearance in Anjali Menon's Manjadikkuru this year. the success of Prithviraj's Puthiya Mukham (directed by Diphan) led the print and visual media to anoint him as "Superstar".His other releases in 2009 were Robinhood (directed by Joshy) and Malayalam's first anthology film, Kerala Cafe. In 2011, Prithviraj turned producer through the multilingual film Urumi. The film had a good run in Kerala and was released in Telugu, Tamil, Hindi and English as well. His other notable releases in Malayalam include the critically acclaimed City of God, Manikyakallu, Veettilekkulla Vazhi and Indian Rupee. Reviewers unanimously praised Prithviraj for his performance in the commercially successful Indian Rupee. Some of them even went on to describe it as his career best performance. Tamil and Telugu Cinema - Prithviraj made his Tamil debut through Kana Kandaen in 2005 as the suave and sophisticated villain. Soon he got the opportunity to act under the direction of Bhagyaraj in the film Parijatham. Bhagyaraj said in an interview, "The entire media unanimously appreciated Prithviraj in Kana Kandaen, so it was with that confidence that I signed him". In 2007, Prithviraj co-starred with Tamil actress Jyothika in her last film, Mozhi which went on to become a huge hit. He also starred in Satham Podathey and Kannamoochi Yenada in the same year. 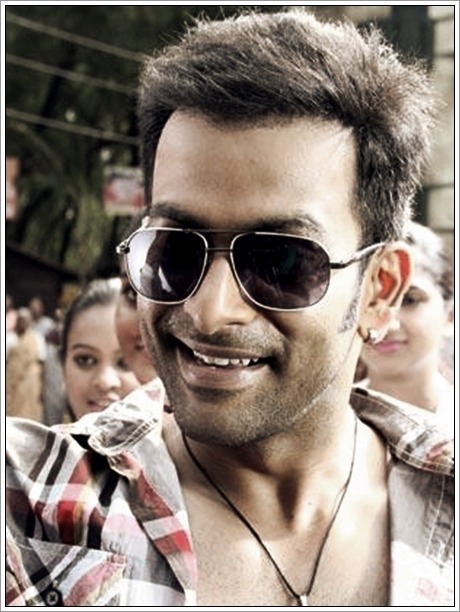 In 2008, Prithviraj starred in Vellithirai, the Tamil remake of Udayananu Tharam. Rediff described his performance: “Prithviraj makes the best of his assets – his expressive eyes, which glint in fury, soften with love, or brim over with frustrated tears”. The Tamil remake of Classmates, titled Ninaithale Inikkum, was released in 2009. His last release in Tamil was Mani Ratnam's Raavanan in 2010, co-starring Vikram and Aishwarya Rai.It met with only moderate critical success. Nevertheless, his performance was critically acclaimed. Telugu Cinema Prithviraj debuted in Telugu through Police Police in 2010. The film co-starred Srikanth, Kamalini Mukherjee and Sanjana. The film has been dubbed in Tamil as Kutrappirivu. Prithviraj has had many of his Malayalam films dubbed into Telugu like Sivapuram in 2006 which was the dubbing of Ananthabhadram and ATM in 2010 which was the dubbing of Robinhood. The dubbed version of his magnum opus film Urumi released in August 2011 to good response.